Dr. Harms is certified by the American Board of Surgery with a certificate of added qualifications in surgical critical care. Dr. Harms is the chief of the Department of Surgery’s section of colorectal surgery and vice-chief of the Division of General Surgery. Dr. Harms specializes in colorectal surgery with special interests in inflammatory bowel disease and reconstructive colorectal surgery. Dr. Harms provides a wide range of services including Abdominoperineal Resection, Abscess Drainage, Appendectomy, Endorectal Advancement Flap, Excision / Fulguration of Condyloma, Fistulotomy, Flap Repair, Hemorrhoid Banding, Hemorrhoidectomy, Ileal Pouch Reconstruction, Ileocolic Resection, Laparoscopic and Open Partial Colectomy, Laparoscopic and Open Rectopexy, Laparoscopic and Open Sigmoid Resection, Laparoscopic and Open Total Colectomy, Laparoscopic Groin Hernia Repair, Lateral Internal Sphincterotomy, Lower Anterior Resection (LAR), Open Groin Hernia Repair, Pilonidal Cyst Excision, Sphincter Repair (overlapping sphincteroplasty), Total Proctocolectomy, Transanal Proctosigmoidectomy, Ventral / Abdominal Hernia Repair. 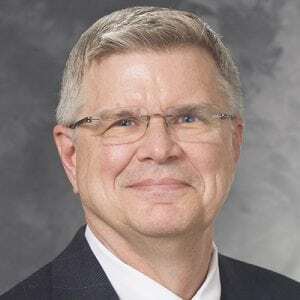 Dr. Harms maintains a basic science laboratory that investigates the pulmonary microcirculation and pathophysiology of post-traumatic pulmonary injury. Clinical research projects include the factors important for successful reconstructive surgery for inflammatory bowel disease. Short-term outcomes of minimally invasive versus open colectomy for colon cancer. Does Anastomotic Leak Contribute to High Failure-to-rescue Rates? Postoperative Ileus--More than Just Prolonged Length of Stay? Characterizing readmission in ulcerative colitis patients undergoing restorative proctocolectomy.